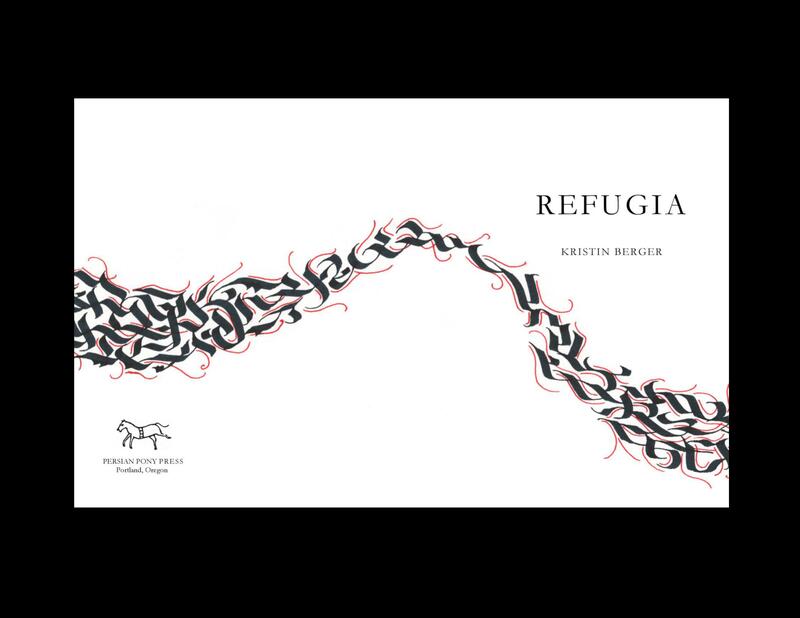 Refugia, poems by Kristin Berger, Persian Pony Press, 2019. Includes signed copy, bookmark and shipping. In Kristin Berger’s latest book, Refugia, the natural and human worlds mingle in gorgeously unsettling ways. The winterscape she presents us with is anything but dead, brimming with mystery and the kinds of contrasts that speak to larger truths. Dead grass and a mother’s voice. The lip of a blowndown forest and apple blossoms. Wire razors and white music. These images “shouldn’t have been able to reach us, / but they did; called us out, called us in”. Berger calls us in by painting quietly self-assured portraits of what seems, on the surface, outside us. But nothing is truly outside us. Even a willow leaf “might save the world, or, / at least, the rough light.” Imaginative, lucid, haunting, Refugia is a heartfelt reflection on recognizing that rough light as it filters down through and blossoms up from a frozen, vulnerable landscape forever on the verge of thaw. Echolocation hovers over the earth as bat, as moon, as astronaut. Hope for the future flutters like prayer flags, “How does the earth tilt towards a deaf darkness while the body, somewhere, aches towards bloom?” Only Berger seems to be able to hold this tension, this unknowing, so deftly throughout her luminous book. Berger convinces us that the world is always on fire and love is the rain. “Let’s inhale this rare thing, like a blessing,” she pleads. In every page of Echolocation Berger sings the moment into its full beauty, and we hold our chests thankful, hoping. 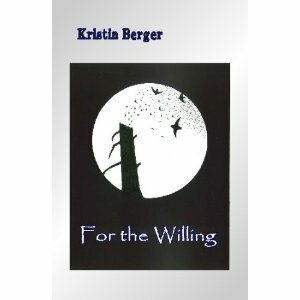 In Kristin Berger’s words you will find an almost archetypal love story—between the speaker and her beloved and between the lovers and the natural world. Berger tells us that, “to love like this/ [you have to] know how to kneel in the ruins, like children, unfound and pleased.” The exquisite descriptions of natural phenomena lend a lushness to the poems’ stark truths. Absorbed, with the speaker, in the intense pain of love ending, the reader will believe the sorrowful news that “[w]e may never get what we want in this lifetime.” And yet the beauty that permeates these pages will inspire her to go on. Kristin Berger’s Echolocation is ‘pastoral’ in the sense ascribed to Elizabethan drama. It portrays the natural world as a stage that ornaments and is infused by grand love affairs. Readers who want their poetic romances anchored in vivid, concrete imagery won’t be disappointed. But others who seek deft concision and memorable phrasing will be more pleased. For all the poems’ intuitive appositions and palimpsests, Berger doesn’t just build intriguing lists of things. Instead, she cunningly evokes intimate experience and sensibility with “namings of parts,” in the manner Henry Reed employed…Berger’s Echo has a tremendous power to put us in the throes of a love that has already become natural history. How Light Reaches Us: Poems, by Kristin Berger, Aldrich Press, 2016. Includes signed copy, broadside and shipping. Finishing Line Press, 2008. Order here! ~ Robert Michael Pyle, author of Mariposa Road: The First Butterfly Big Year, and The Thunder Tree. VoiceCatcher 6, Edited by Kristin Berger and Toni Partington, 2011. 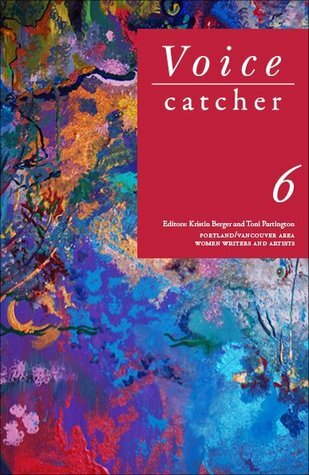 Featuring 45 female authors and 25 female artists from the Portland/Vancouver area in the Pacific Northwest, VoiceCatcher 6 captures the diverse voices of award winners, emerging writers, and beginners through a rich selection of poetry, prose, and the visual arts.